LAPD Senior Lead Officer List for Pacific Division - Yo! Venice! 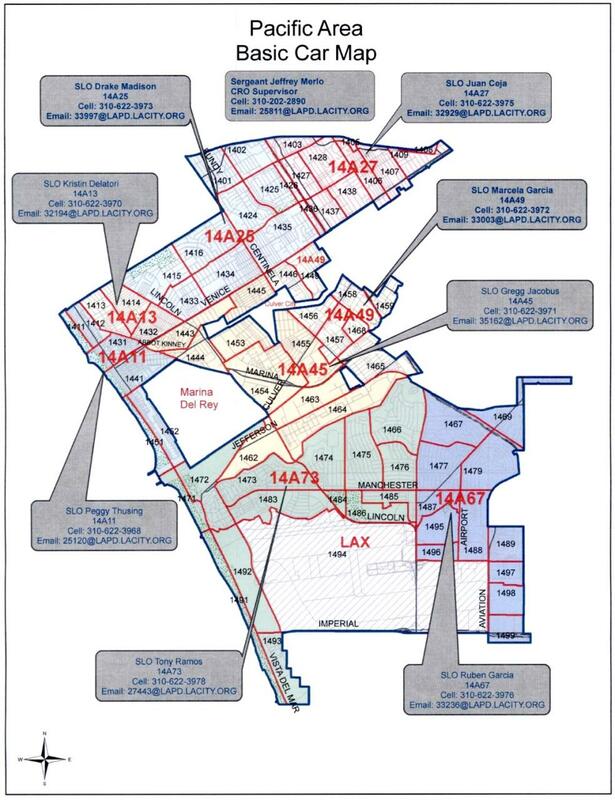 Here is the recently updated map of Pacific Division with the Senior Lead Officers (SLO) for each area and their contact information. The information can also be found at the top of this website in the “pull down” Venice 411 directory menu. Click on the image to enlarge the map / print it out. Parking Meters on Abbot Kinney?